As the name suggests Juyong pass is a mountain pass located in the Changping District. Visit the destination if you are looking for something truly different and magnificent. The view that the pass offers is one of the most striking ones in the city. A different kind of attraction Juyong pass is very famous among avid travellers for its location and picturesque setting. 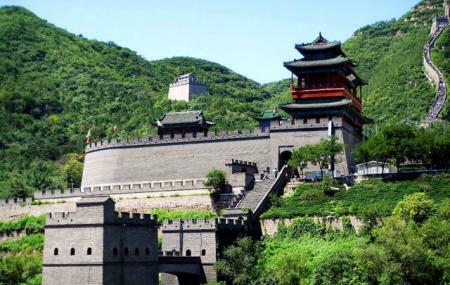 Juyongguan pass was connected to the Great Wall in the Southern and Northern Dynasties era and today stands as one of the best attractions in the Beijing. Take a bus from Pass bus station. How popular is Juyong Pass? People normally also visit Fragrant Hills Park while planning their trip to Juyong Pass. Wow! I can't believe I was here! Awesome experience. Lots of climbing! Excelent visit. It is a 90 min climb to the top with a good pace. No need to be too athletic if you have the time to stop and rest. It's a crowed place. Don't recommend if you want to appreciate the wall without people, but definitely worth it if you are staying only for a couple of days in Beijing. There are restrooms along the way, but don't recommend to use them unless really necessary. Bring your own paper.